UNDATED - Gasoline prices in South Dakota have fallen 14.2 cents per gallon in the past week, averaging $2.48/g yesterday, according to GasBuddy's daily survey of 628 stations in South Dakota. This compares with the national average that has fallen 10.0 cents per gallon versus last week to $2.43/g, according to GasBuddy. $2.47/g in 2017, $2.09/g in 2016, $2.05/g in 2015, $2.64/g in 2014 and $3.11/g in 2013. Including the change locally during the past week, prices yesterday were 0.4 cents per gallon higher than a year ago and are 28.4 cents per gallon lower than a month ago. The national average has dropped 31.4 cents per gallon during the last month and stands 2.7 cents per gallon lower than a year ago. Sioux Falls- $2.25/g, down 9.0 cents per gallon from last week's $2.34/g. North Dakota- $2.46/g, down 8.0 cents per gallon from last week's $2.54/g. Nebraska- $2.35/g, down 10.4 cents per gallon from last week's $2.45/g. 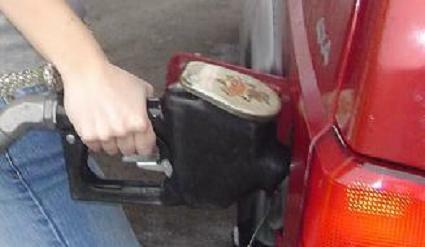 "Motorists finally have something to be excited about: gas prices plummeting, with at least one gas station in 27 states offering a gallon of gasoline at $1.99 per gallon or less. The national average stands at its lowest point of 2018 having fallen nearly 50 cents since the start of October, keeping nearly $200 million in the pockets of Americans every single day, acting as an economic stimulus ahead of the holidays," said Patrick DeHaan, head of petroleum analysis for GasBuddy. "While OPEC will be meeting this week to discuss the possibility of cutting oil production in light of the $25 per barrel drop in prices since October, Americans will likely see falling prices at least for one more week. In addition, the promise of a trade deal with China may boost confidence in the economy, pushing global oil demand back up and driving prices higher. Motorists are encouraged to continue shopping around to find the best deals at the pump and prices under $2 per gallon while they last."